With an increasing number of people in the United States owning a smartphone and using this to do their Web searches, having a mobile Web site has just gotten higher on the list of things that every business should have. People are seeing themselves to be on the mobile Web more. 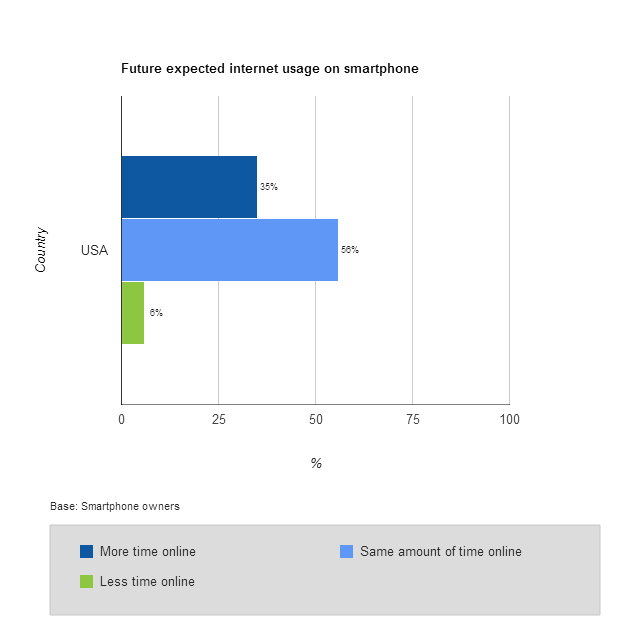 In 2012, 35% of smartphone owners in the US expected to spend more time online in the future, while another 56% said that they plan to spend as much time on the mobile Web as they had been doing so. Only 6% said that they plan to cut back on using their smartphones to surf the Web. 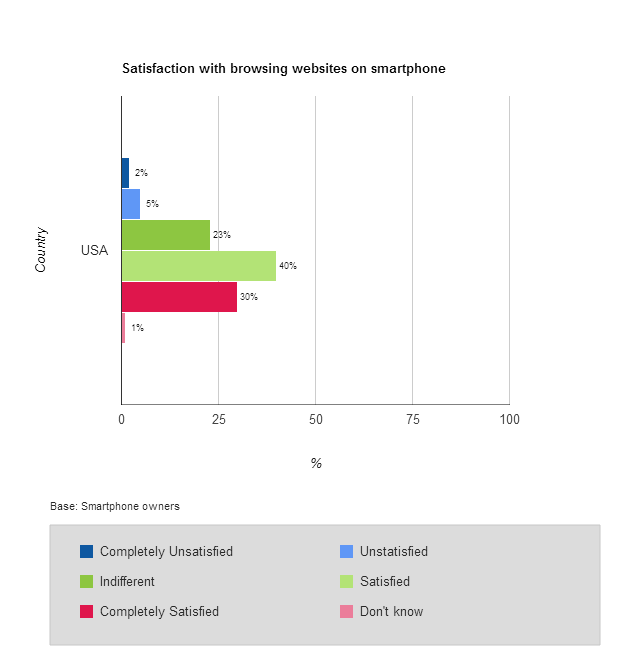 What’s more, 7 out of 10 people who browse the mobile Web are satisfied with their experience. Taking a look at the survey data, 70% of all American smartphone owners are satisfied or completely satisfied with their mobile Web browsing experience. In contrast, only 7% are not satisfied. What this means is that people are going to continue to use the mobile Web because they are happy with it. Should your mobile Web site be any different? 64% updated or used their social networking profiles. Take a closer look at how people used search engines, and it can be a little more telling. 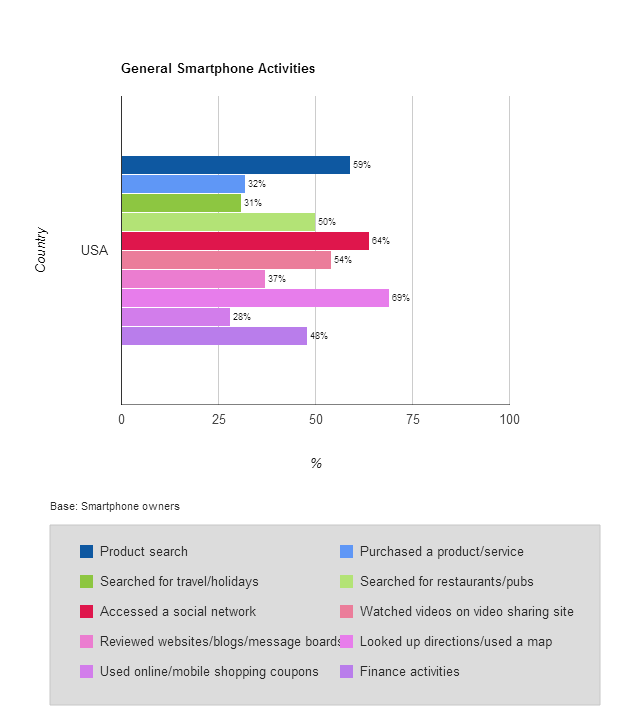 Data shows that in 2012, only 1% of American smartphone owners did not use their smartphones to do a little searching. In contrast, 62% said they search on their mobile phones daily while another 24% said they do so on a weekly basis. Another 9% indicated that they search on mobile phones at least monthly. Welcome all of these people to your mobile Web site by making sure that you have a page that displays perfectly on any kind of screen. Call us now for details on how to get your mobile Web site off the ground!